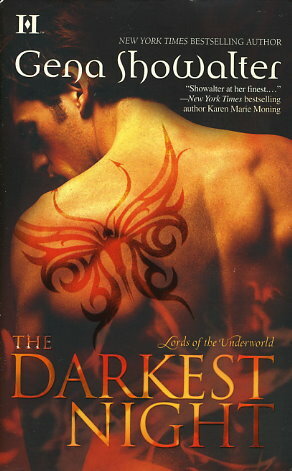 Though they carry an eternal curse, the Lords of the Underworld are irresistibly seductive -- and unimaginably powerful . . .
As I compare this author to the writings of others in this genre, I find that there is too much inner thought from the characters which moves the story at a somewhat snells pace. However, once you are familiar w/the main characters, you come to understand how the pieces fall together. Ashylyn and maddox. everynight he must die the way he killed Pandora. She has Tor kill her that way he kills maddox therefore releasing him of his demon.